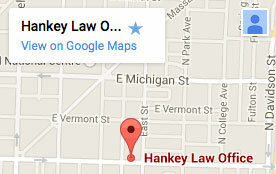 Hankey Law Office > Blog > Indiana Long Term Disability Attorney > What does long-term disability mean? What does long-term disability mean? Long-term disability coverage helps individuals earn a living after they are no longer able to work. This insurance program is similar to the coverage provided by life insurance. If you are injured or become ill and cannot return to work, long-term disability coverage insurance can allow you to maintain your financial stability. This insurance provides you with benefits checks that are set up to compensate the earnings you will lose due to your injury. Long-term disability insurance helps reimburse an injured individual with anywhere between 45 percent and 60 percent of your regular paycheck. If you are interested in learning more about long-term disability insurance, please contact the Indiana long-term disability lawyers of the Hankey Law Office by calling (800) 520-3633 today.